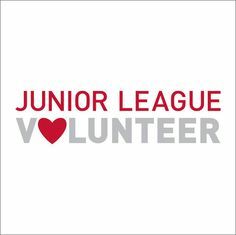 The Junior League of Northern Virginia (JLNV) partners with community agencies that reflect our mission, vision and values. Focused on addressing childhood obesity through physical activity and nutrition education, the JLNV provides much-needed volunteer resources and funding, and serves as a catalyst for positive change through our partnerships. Each year, the JLNV donates thousands of volunteer hours to community organizations and programs in alignment with our mission and focus area. This year, through our community grants program alone, the JLNV will contribute more than 250 volunteer hours, valued at more than $6,100, along with $10,000 in grant funding to our community partners. The JLNV provides volunteers in response to requests from community organizations that reflect our mission and community focus. To request volunteer support for your short-term project or event, please click here. Requests must be received six weeks prior to your event to allow us adequate time to secure volunteer resources. Preference will be given to volunteer opportunities that have a direct impact on the Northern Virginia community and/or that support the JLNV’s focus on promoting healthy eating, active living or access to healthy food options. JLNV members also serve as JLNV ambassadors to community organizations and work as a partner with the organization as part of our in-community placements. The League continues to seek additional in-community placement opportunities. For more information, please reach out to community@jlnv.org.